Below you will find 11 photos of baseball players in conventional and odd poses. 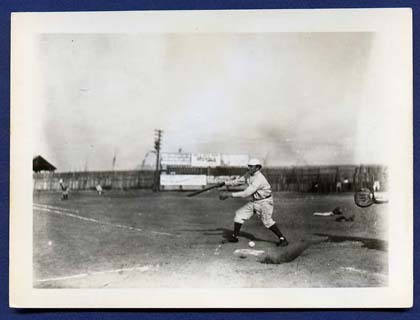 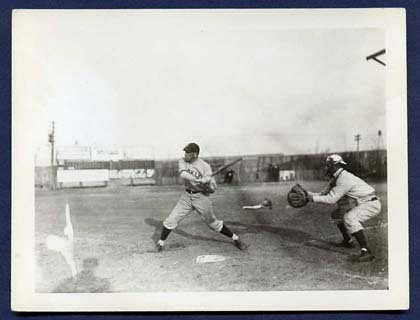 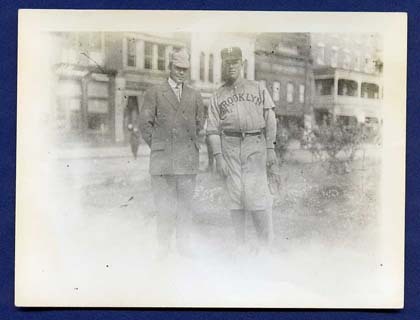 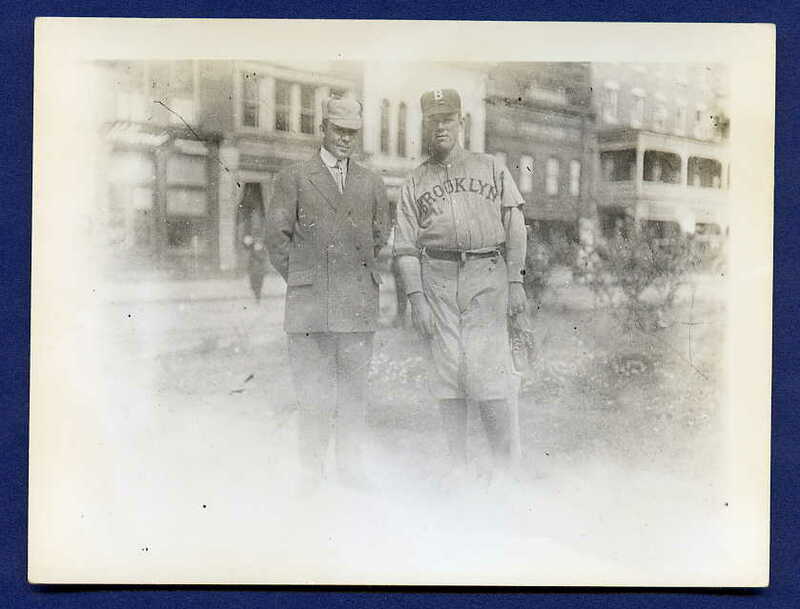 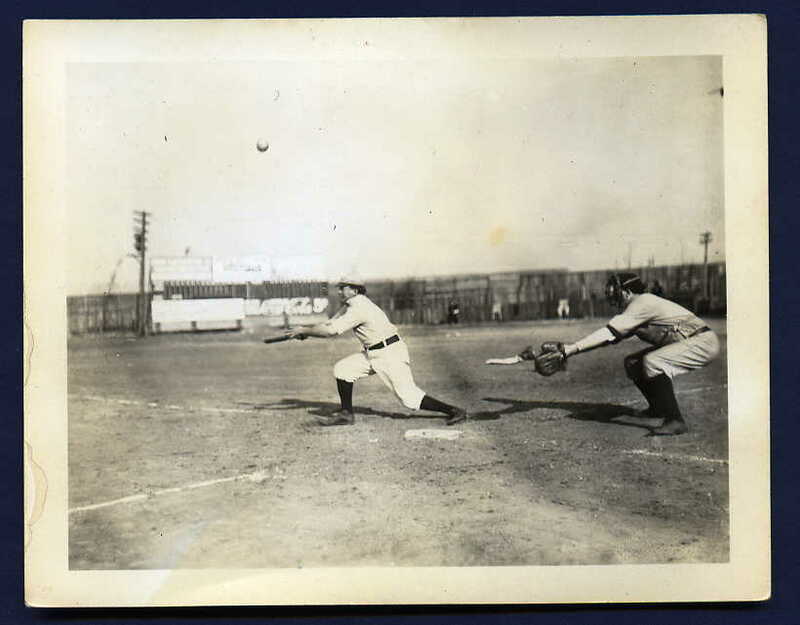 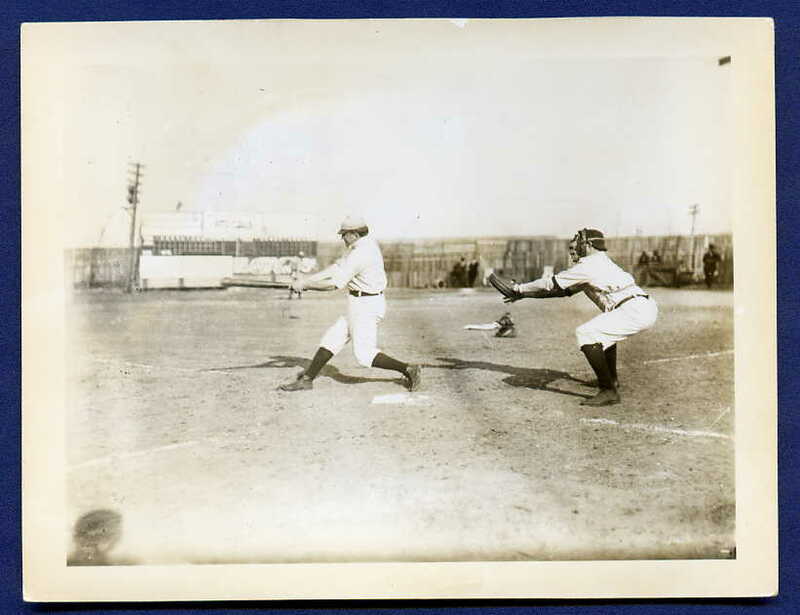 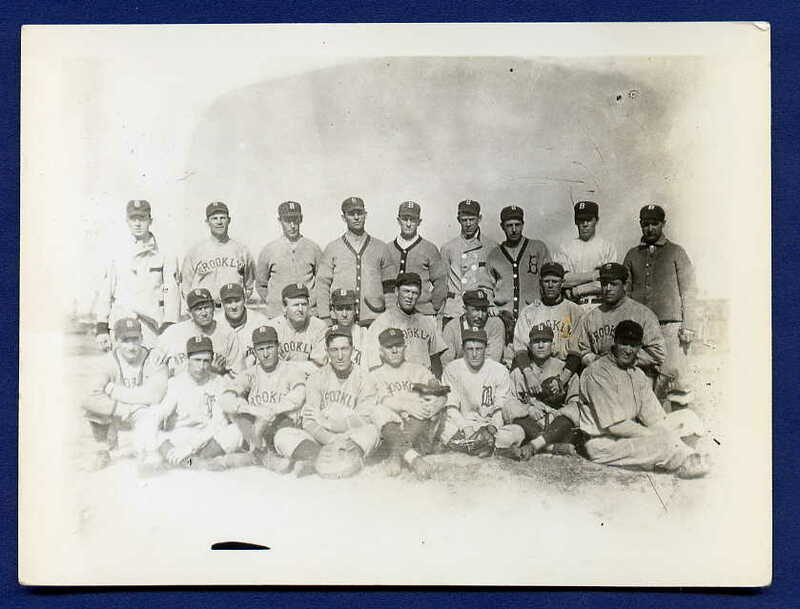 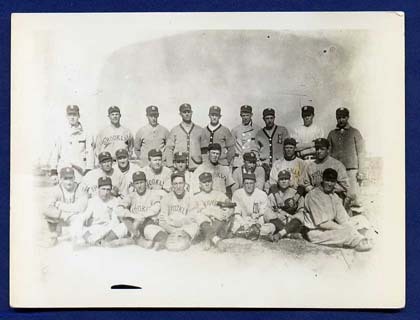 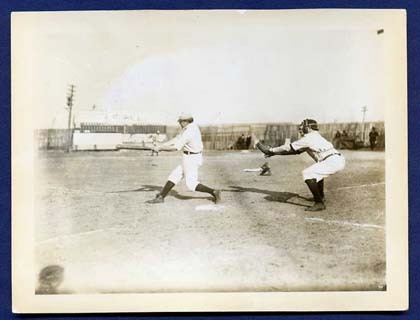 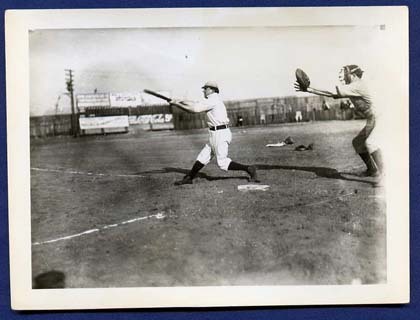 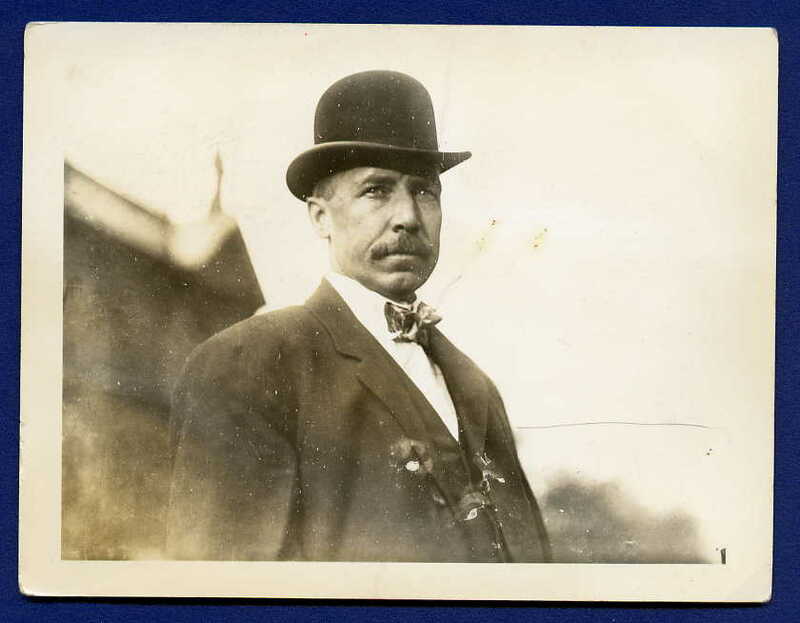 These photos definitely include 1908 Brooklyn Dodger players -- including star hurler Nap Rucker. Other identifications are needed. 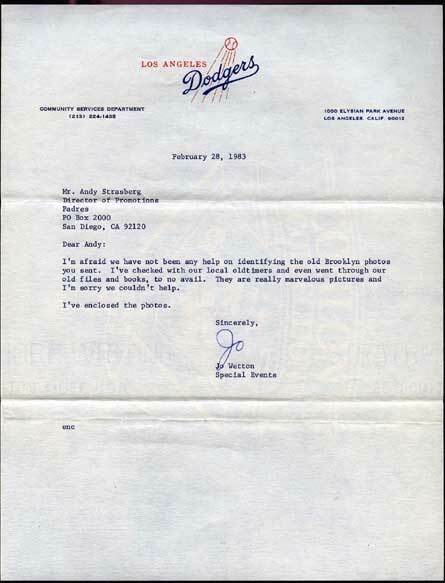 When a collector shared these photos with the Dodgers organization in the early 1980s, the team responded in a letter that it couldn't ID any of the players, let alone the year the photos were taken, or even if they were Dodgers! 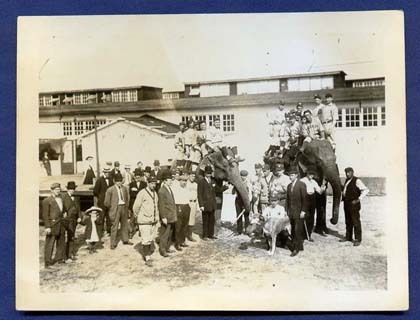 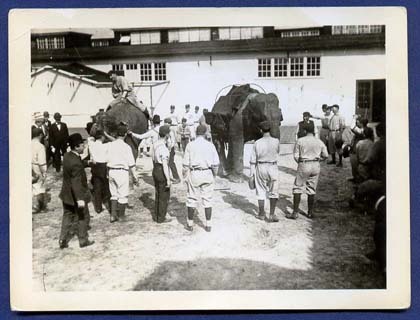 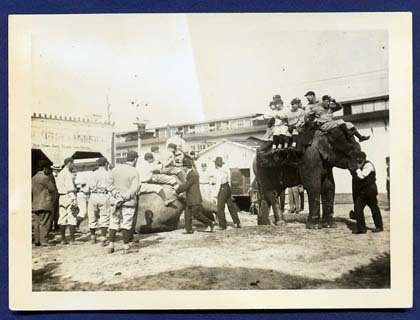 If you can help, simply click on any of the big question mark icons below and fill in the form with useful info on just who is riding those elephants in pre-WW1 Brooklyn.